Our current SAG-AFTRA Co-President, Ken Howard, portrayed our country’s third president, and principal author of the Declaration of Independence, Thomas Jefferson, in the Broadway production of 1776 and then again in the 1972 movie adaptation. See trailer here. 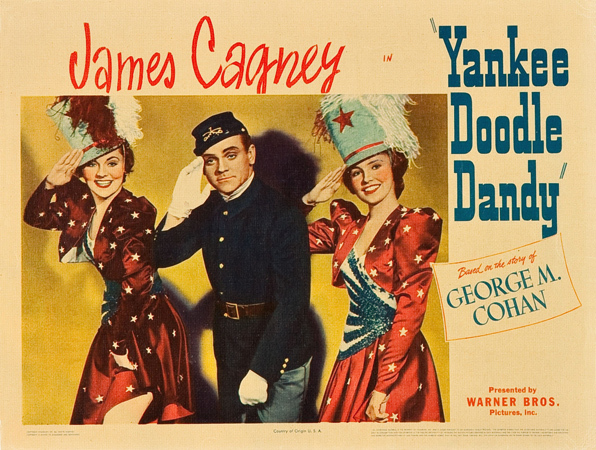 Former SAG President, James Cagney (1942-1944), portrayed “the man who owned Broadway”, George M. Cohan in the musical biopic Yankee Doodle Dandee. Cohan famously proclaimed to have been born on the fourth of July throughout his lifelong career. Click here to check out a clip of Cagney’s critically acclaimed performance from the 1942 movie. 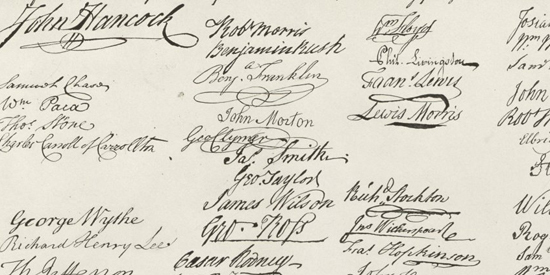 Can you find John Morton's signature? Hint: He must have been close to Ben Franklin. Finally, current SAG Awards Summer intern Daniel Thomson’s ancestor, John Morton, was one of the five delegates representing Pennsylvania at the first and second Continental Congress. Morton’s was the key swing vote needed for Pennsylvania’s support of the Declaration of Independence. Morton also served as the chairman of the committee in charge of drafting the Articles of Confederation though he died before they were ratified in 1781.